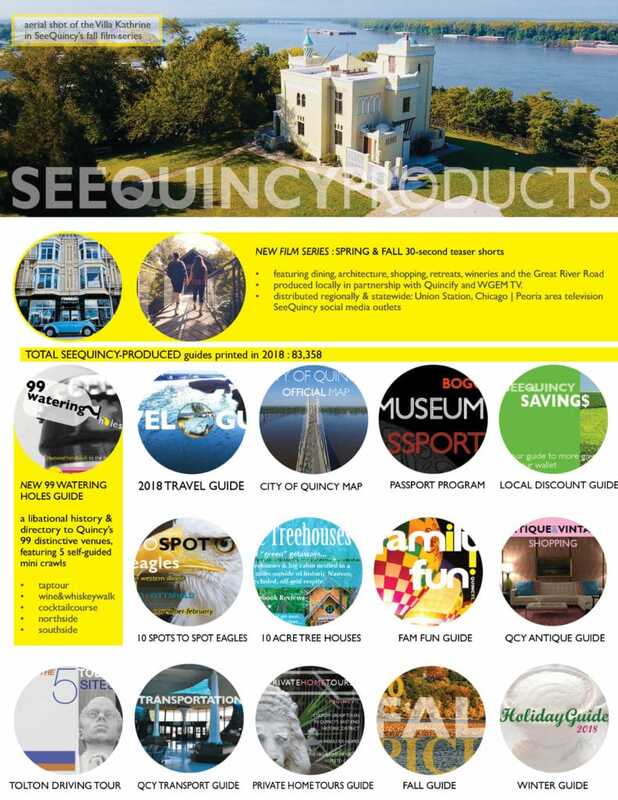 The Quincy area media offers excellent coverage of news and events. 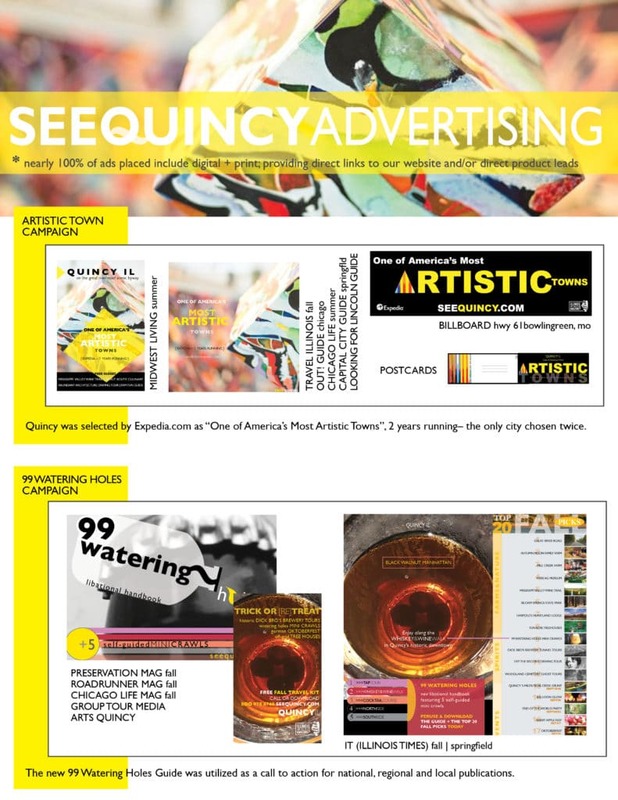 For a comprehensive listing of area media contacts to assist in promoting the tri-states, please refer to The Quincy Society of Fine Arts full listing (MEDIA EMAIL LIST). 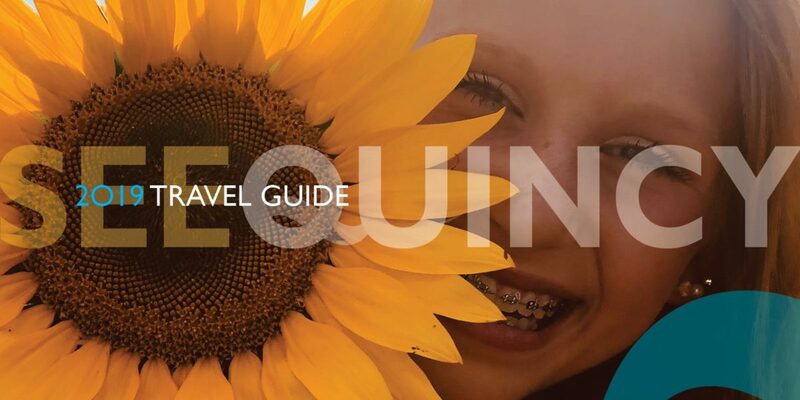 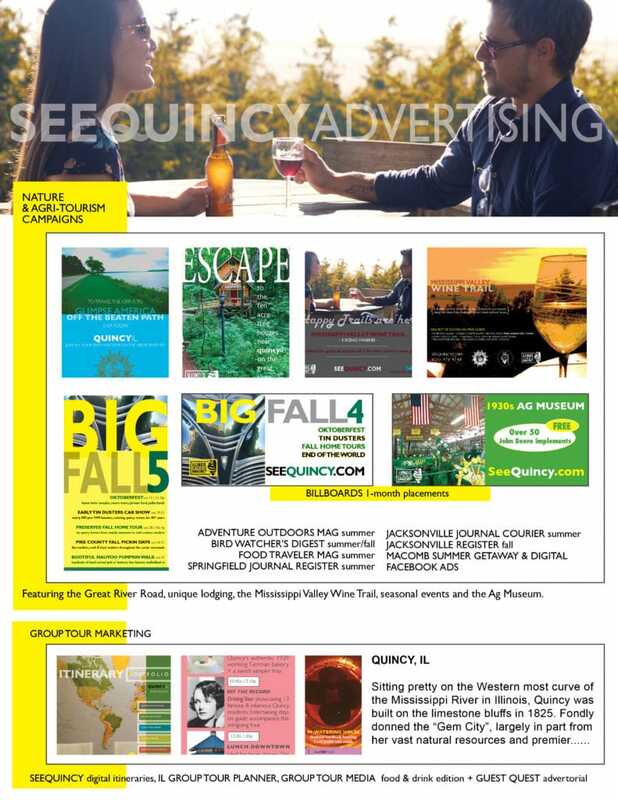 Not only is the Quincy area’s media exposure outstanding, it often showcases the power of travel within our local economy. 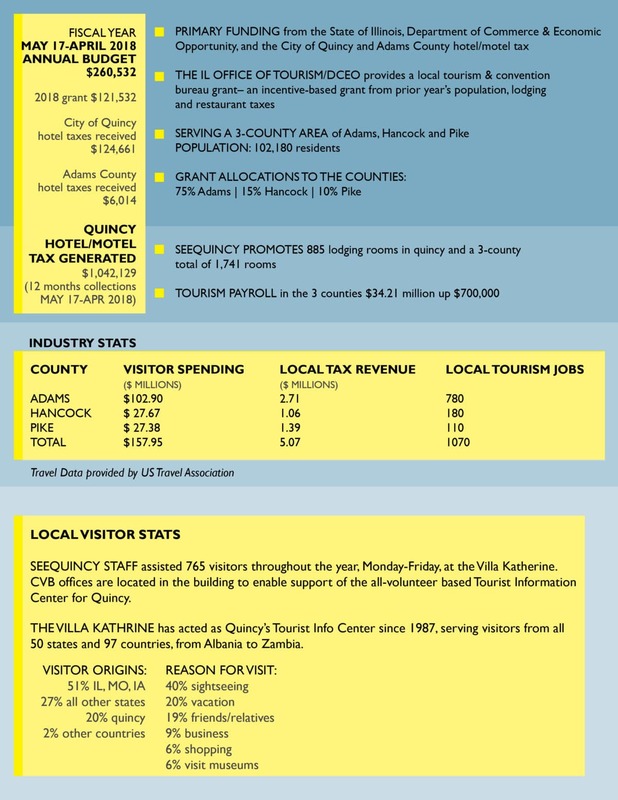 The CVB featured its TOUR QUINCY Bike Rental Program with local CBS Affiliate KHQA’s Chad Douglas (KHQABIKES). 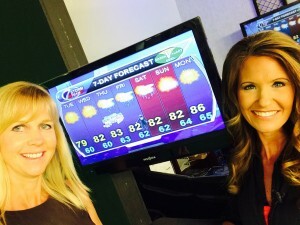 Here, #MiniAbe provides Quincy’s weather forecast on the set with CVB Director Holly Cain and Tegan Orpet at KHQA. Each year the CVB provides a visual and expository Annual Report that reflects the travel & tourism numbers for the State of Illinois, as well as the counties of Adams, Pike & Hancock. 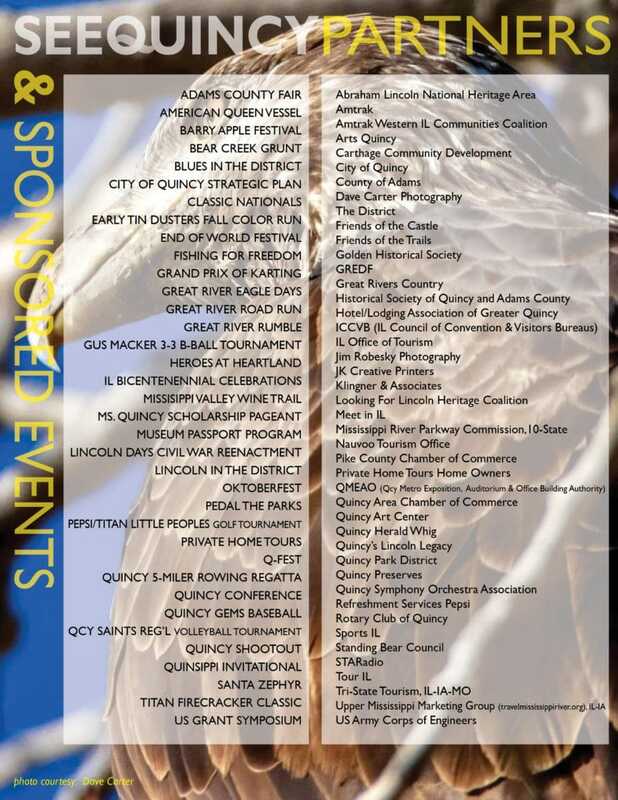 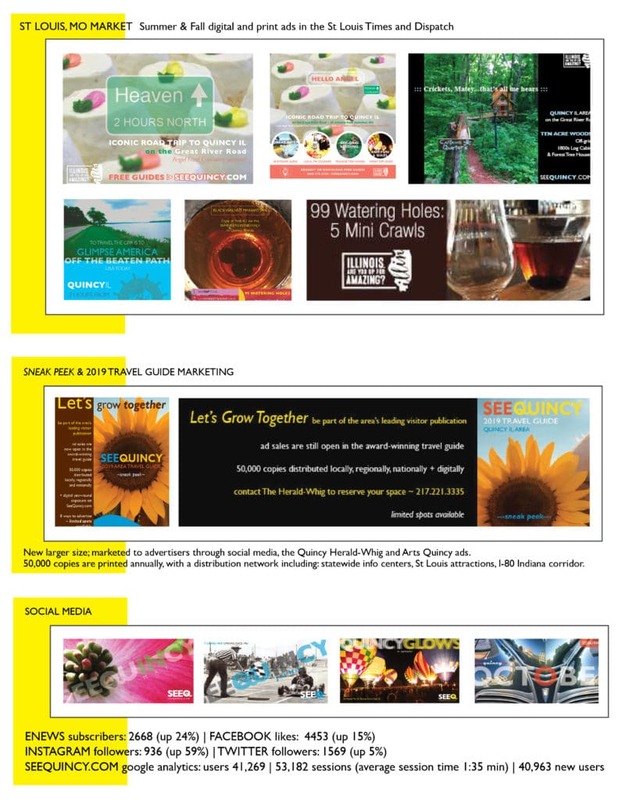 It also highlights CVB sponsored events, projects, advertising and marketing. 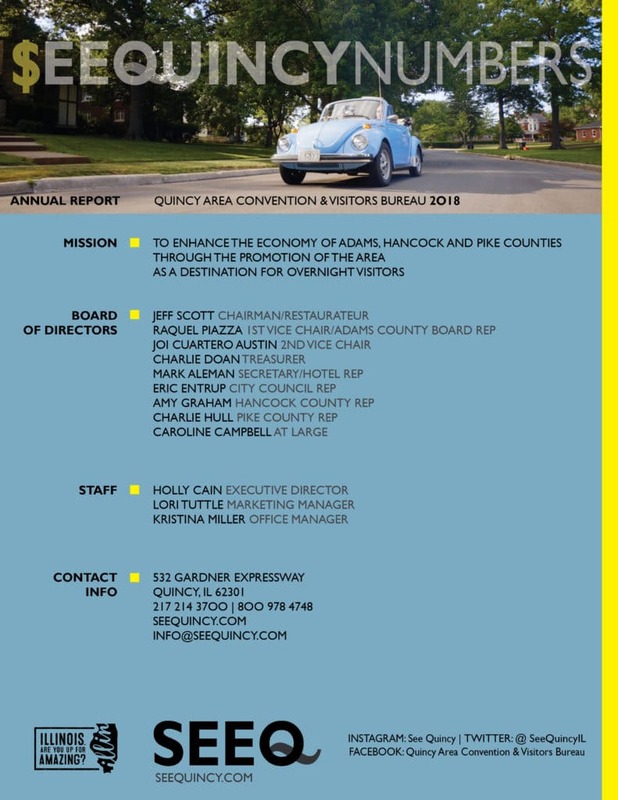 Please feel free to request a full copy to be mailed to you by calling 800.978.4748or DOWNLOA D 2018 ANNUAL REPORT HERE.